USHERING, BOX OFFICE, COSTUMING, SET BUILDING, STAGEHANDS and more! Your Minnesota Folklore Theater is a 501c3 nonprofit theater that promotes family entertainment and Youth Theater.We are dedicated to enriching the lives of all residents and seasonal residents of the Leech Lake area. With this new home we are expanding our arts services to the Walker and surrounding communities with a Full time Art Gallery showcasing area artists and their works.Along with this we will offer a permanent home to the Leech Lake Art league. Space will be available for classes in theater for senior citizens, Youth Theater and other classical and contemporary musical events. The mission of Minnesota Folklore Theater is to create, develop and present professional musical and dramatic productions that will further the knowledge and appreciation of the culture and heritage of the United States. Our history is rich with many of these moments created through the donations and our audiences.Through these involvements they are keeping the Arts alive at Minnesota Folklore Theater. The Theater is dedicated to maintaining standards of artistic excellence; celebrating and illuminating the human condition; reaching a large audience of all ages, including families; and fostering a humanistic work environment with adequate and appropriate emotional, financial and creative support for all those associated with us. The Children's Theater Company at Minnesota Folklore Theater exists to create extraordinary theatre experiences, and to advance theater as a means of educating, challenging and inspiring your young people. You can be a part of our long range plan to develop a permanent performing arts center here in Walker.Any support you could give toward this cause would be greatly appreciated. 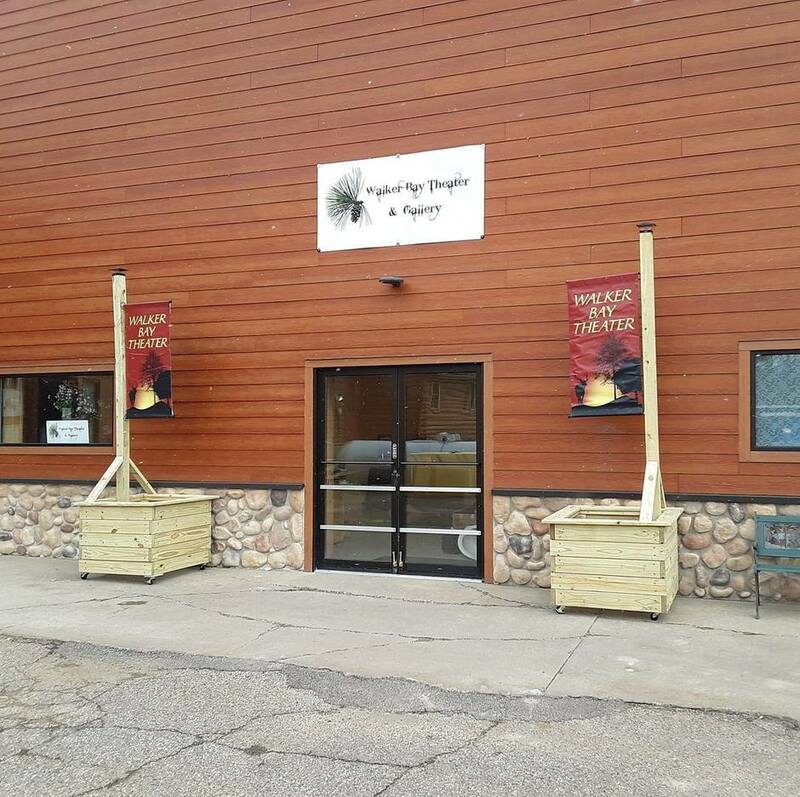 Located in Northwest Minnesota we are located in Walker at 609 Minnesota Ave Lower Level in the heart of Historic Walker Downtown and the lake and pine country, surrounded by scenic fishing lakes and fertile prairies. The Walker and Park Rapids area offers much to its visitors and residents, including Itasca State Park and the headwaters of the Mississippi River, a quaint downtown shopping experience, the Heartland Trail for outdoor enthusiasts (biking, horseback riding, snowmobiling), great dining, golf, spas, a winery and much more! For those who enjoy a casino experience, two are within a short distance: Northern Lights Casino in Walker. For a complete list of area attractions, visit the Leech Lake Chamber of Commerce On the shores of Leech Lake in the Lakes area of Northern Minnesota. We are dedicated to performing plays and musicals about Minnesota and the Midwest. We also perform plays and musicals that have created history in Minnesota arts. The mission of Minnesota Folklore Theater is to create, develop and present professional community based musical and dramatic productions that will further the knowledge and appreciation of the culture and heritage of the United States. The Theater is dedicated to maintaining standards of artistic excellence; celebrating and illuminating the human condition; reaching a large audience of all ages, including families; and fostering a humanistic work environment with adequate and appropriate emotional, financial and creative support for all those associated with us. The Children's Theater Company at Minnesota Folklore Theater will create extraordinary theater experiences, and advance theater as a means of educating, challenging and inspiring young people. Valid XHTML | Valid CSS | Copyright © 2012. All Rights Reserved.